Download Spy in Digital HD from the iTunes store. 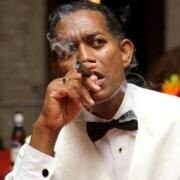 Spy images are © 20th Century Fox. All Rights Reserved. Melissa McCarthy's (Heat, Identity thief) movies are hit and miss. Bridesmaids was hilariously funny but Tammy was just awful. 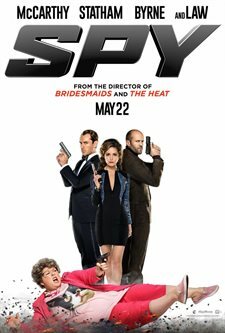 Luckily, her latest comedy, Spy, falls into the former category with 2 hours of nonstop humor that will have you laughing out loud. McCarthy plays CIA agent Susan Cooper, who does nothing more than sit behind a computer in a dingy basement. Her role in the agency is to assist the very debonair field agent Bradley Fine (Jude Law; Sherlock Holmes, Cold Mountain), as he battles bad guys, all the while as she secretly pines over him. When Fine is killed in action and the rest of the agents are compromised, Susan volunteers to go on a fact finding field mission to help avenge his death and stop the sale of a nuclear bomb. Ill equipped, and practically unarmed, Susan oversteps her bounds to pursue the enemy, landing in Paris and Budapest. Aided by her hilariously, and equally, inept friend, CIA agent Nancy (Miranda Hart; Call the Midwife) they stop the sale and (of course) save the day. McCarthy shines in this role with a well written script by Paul Feig (Freaks and Geeks), who also directs the film. A host of costars, including Law, Hart, Rose Byrne (X Men: First Class; Neighbors) and Jason Statham (The Transporter; Furious Seven), enhance the movie and McCarthy's overall performance. The dialogue is dumb, but no less effective, and the insulting exchanges between McCarthy and Byrne are so rude, and delivered with such bite, that you can't help but laugh. McCarthy, Law and Byrne are all very good in their respective roles, but Hart and Statham really enhance the comedy. Statham especially isn't against poking a little fun at his tough guy image and plays almost a caricature of many of his former movie roles. It's refreshing to see him taking the bad guy persona not so seriously. Hart is terrific in all her scenes, but she is especially in her element in the club scene which thankfully includes a cameo by 50 cent. McCarthy has never been better and reminds us why we loved her in Bridesmaids in the first place. She delivers her lines with such intent that simply works on all levels. Plus, it's nice to see a cast led by several strong women, while the men of this film act as the "accessories". It makes for a nice change of pace from the usual fare. Not a Melissa McCarthy fan, but nothing else on!